Could blockchain projects benefit from sandbox scheme? The Financial Services Commission held a briefing session Friday ahead of the Special Law on Financial Innovation Support and the regulatory sandbox system that will go into effect on April 1. Still, however, it remains to be seen whether blockchain companies and cryptocurrency projects will benefit from the regulatory sandbox scheme. 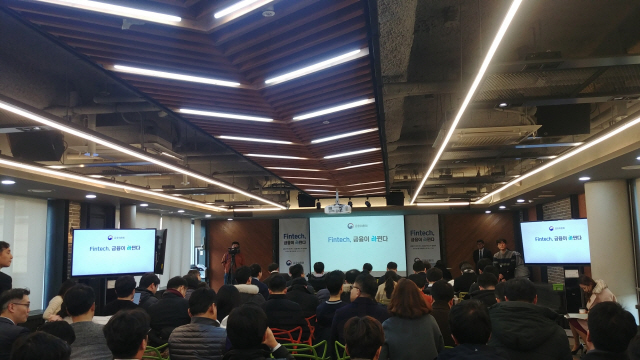 The top financial regulator organized the meeting to gather feedbacks on the Korean government’s fintech policies at D.Camp in southern Seoul. “This year will be a precious period to promote fintech. 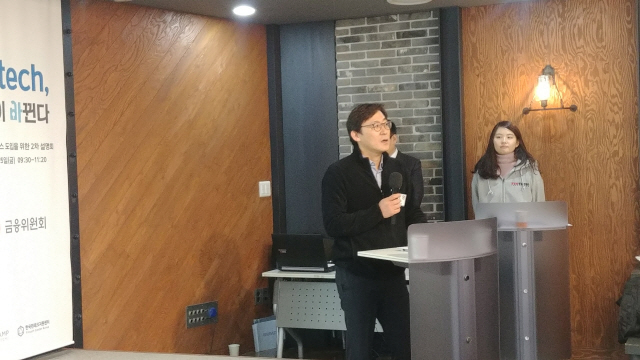 We will strive to connect fintech with the capital market by softening regulation through sandbox,” said Kwon Dae-young, head of the financial innovation bureau at the FSC. The Special Law on Financial Innovation Support is intended to exempt or shelve financial firms and fintech startups from various regulations. Its major contents include innovative financial services (regulatory sandbox), designated agents, swift confirmation of regulations, commissioned tests and budgetary support. The financial regulatory sandbox is a mechanism that would allow companies to test innovative financial services for markets and consumers by applying exceptions. Specifically, they can offer innovative financial services without separate financial licenses within the given framework. Exceptions can be applied if there are no relevant laws and it’s inappropriate to apply related rules to innovative financial services. That’s why the blockchain community, which pleaded for regulation, has keen interest in this scheme. Blockchain startups, which had counted on the simplification of licensing rules and eased qualifications in the law, expressed regrets. “Blockchain was hardly mentioned in today’s meeting. There seems to be no progress in the financial sector except nurturing talented people,” said an official at a blockchain startup who attended the meeting. Blockchain companies keep knocking on the door of the FSC. An official at InstaPay that developed InstaCoin said, “We applied for an innovative financial service last year, but to no avail. We will try once again this year.” Some blockchain-powered projects reportedly have been filed since the government began to review innovative financial services Jan. 21.